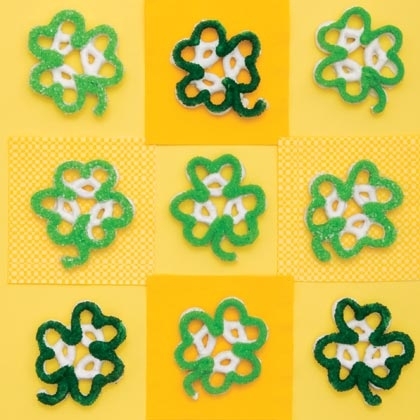 Some melted white chocolate and green sprinkles can turn plain pretzels into fun clover shaped shamrock pretzels. These would be a great party snack or a fun treat to throw n the kids lunch box the week leading up to St. Patrick's Day. You can find out how to make clover pretzels over at Spoonful.